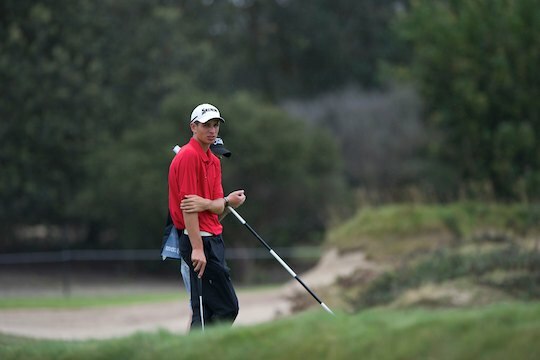 Jordan Zunic has finished the best of the Australians at the 118th British Amateur Championship being played at Royal Cinque Ports and Prince’s in Kent. Zunic made it through to the top-16 before losing his match against Englishman Max Orrin, 3&1. Brett Drewitt was the other Australian standout, progressing through to the 3rd round before loosing narrowly on the 20th hole to Demnark’s Kasper Estrup. Overall it was a disappointing effort by the eleven strong Australian contingent at this British Amateur. By the end of the second round, Zunic and Drewitt were the only Australians left after Callan O’Reilly went down to Grant Forrest, 2&1, Cameron Smith was defeated easily by Paul Kinnear, 4&2. In the first round Geoff Drakeford lost to Shane McGlynn on the 19th and Nathan Holman went down to Toby Crisp 2&1. Ruben Sondjada, Todd Sinnott, Viraat Badwar, Dale Brandt-Richards and Brady Watt failed the qualify for the match play segment following the opening two rounds of stroke. Watt, who recently became the world number one amateur following three Americans – including Chris Williams – announcing they had turned professional, fired rounds of 82-78 to finish well down the leader board. The Quarter Final line-up for The Amateur Championship will see Italian Renato Paratore facing American Jim Liu, England’s Neil Raymond taking on Garrick Porteous, France’s Paul Barjon playing Finland’s Toni Hakula and Max Orrin against Nick Marsh.